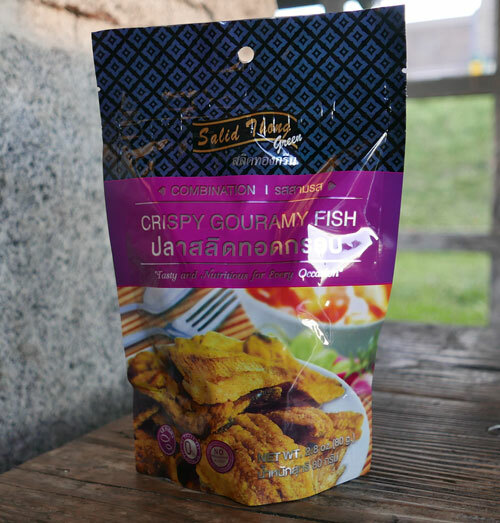 We now have the best tasting fish snack from Thailand, crispy salid fish of excellent quality packed in a modern resealable foil package. This is 'Combo Flavor' which is mildly spiced (and the most popular flavor) we also offer the same product in regular flavor. Eat this alone or as a garnish with fried rice, green curry, jasmine rice, or whatever you like. 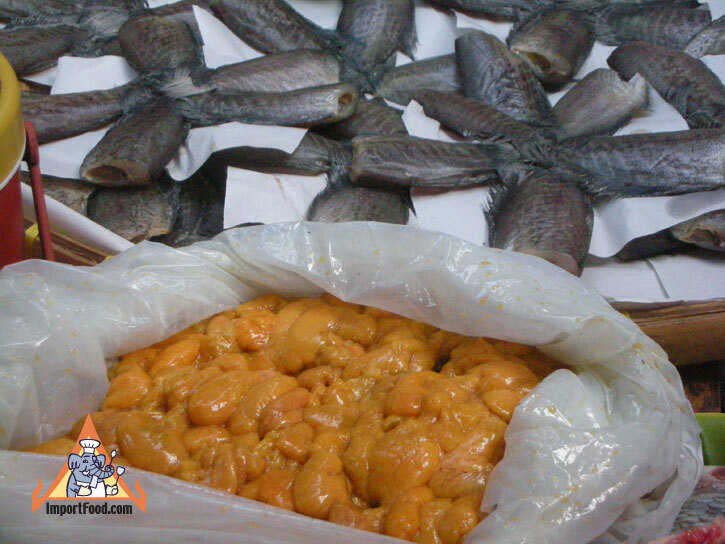 Salid Thong is a deep fried fish snack made of the famed freshwater Sepat Siam (trichogaster pectoralis) fish. Prepared in a traditional Thai cooking style for health-conscious people. See our market picture of trichogaster pectoralis with the eggs (also a delicacy) removed, in foreground. You get about 20-25 chunks of fried fish (about the size of a tortilla chip, but thicker). This is one of our personal favorites, and for a Thai person in USA this fish is really a true taste of home. Ingredients: sepat siam fish 98%, spices 1%, palm oil 1%. Product of Thailand.